You might have noticed that everybody’s favorite Gentleman Gamer is now broadcasting on both the GG‘s and Onyx Path‘s YouTube channels. Matthew has stepped up to begin a series of regular vids – some focusing in on particular parts of our games, and some giving you a look at new projects and releases as they occur. 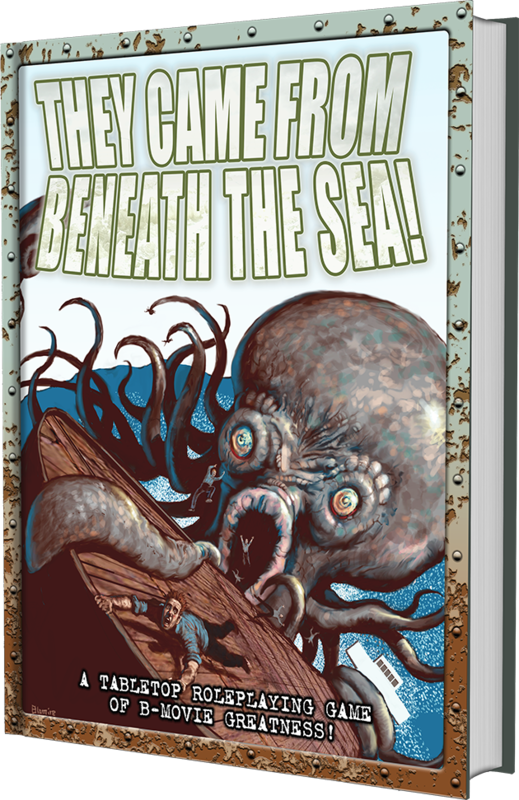 We start with They Came From Beneath the Sea!, for obvious reasons, but you’ll soon see some deep dives into the Scion pantheons and more to come in 2019! You can also hear Matthew, Dixie, and Eddy on the weekly Onyx Pathcast – they end the year this Friday with a very special and silly holiday extravaganza, and a short talk with the always delightful Crystal Mazur. Not going to get into too much news this week, here on Christmas Eve, but some of you have contacted us, concerned about recent news out of Paradox/White Wolf, so I want to touch on that now before we at Onyx Path head out to our various holiday events. Our license with Paradox/WW hasn’t changed. Chicago By Night for V5 continues as it has through production after our Kickstarter for it last month(ish), and we have other projects still going forward we have yet to announce. We’ve been in discussions with Modiphius on a variety of topics through last year ourselves, but mostly on hooking into their V5 distribution process, and it was already looking good before the announcement from Paradox/WW. But, and I do want the record straight on this, we are very happy with our distribution partners at Studio2 and how they have been fulfilling our Kickstarters and then making those books available into retail. That’s right, we have several projects already going onto the shelves of your friendly local game store. Pugmire, Monarchies of Mau, Cavaliers of Mars, and the Prince’s Gambit card game, have all been part of this distribution process by Studio2, and we’re very interested in seeing how Changeling: The Lost 2nd Edition does as it joins their ranks in early 2019. 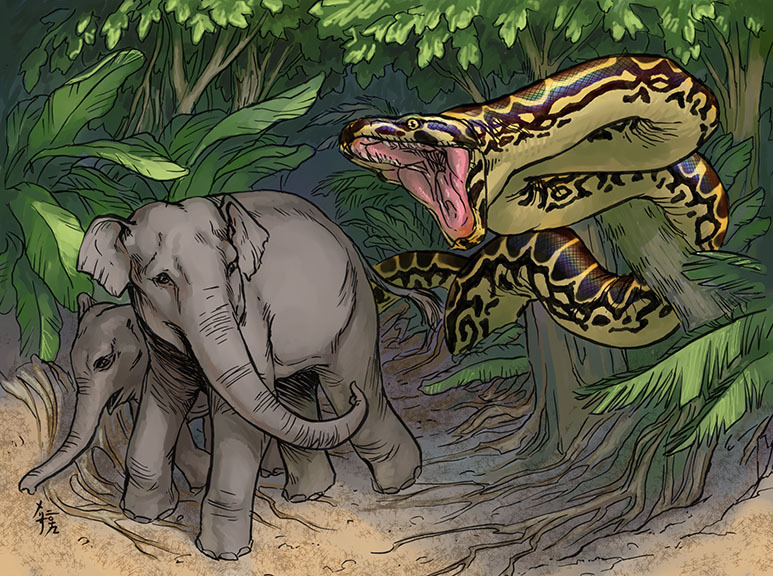 We’re still very specific about which projects are put onto the track that starts with a Kickstarter to fund traditionally printed books and ends up with solicitations to distributors and retailers after we get the KS backers their books, but it has been working really well for us so far! Which is the key. We weren’t out of the distribution/retailer system because we couldn’t do it or nobody wanted us to be in their store. Far from it – since Onyx Path started on 1/1/12 we’ve had both distributors and retailers asking us to make books for their channels again. We didn’t do it, because it would have hurt us at the beginning, and we had no process that gave us a clear…path, if you’ll excuse the term…that worked with our business model until we started working with Studio2. It’s working now, we’re thrilled, and I think Studio2 is thrilled too. And that means that our other long-time partners like IPR and DTRPG are also gaining the benefits of us adding another way to get our books to the methods they already have worked with us on. They Came From Beneath the Sea! (TCFBtS!) funded on Kickstarter in less than 48 hours and we’ve passed through the first Stretch Goal of getting Larry Blamire to illustrate a horizontal scene usable on a screen, and are oozing up on the next goal- the beginning of a book of additional Threats! Hope to see you there back in the 50’s, fighting watery menaces and cracking wise! As we find ways to enable our community to more easily play our games, the Onyx Dice Rolling App is now live! Our dev team has been doing updates since we launched based on the excellent use-case comments by our community, and this thing is both rolling and rocking! You can now read our fiction from the comfort and convenience of your Kindle (from Amazon) and Nook (from Barnes & Noble). If you enjoy these or any other of our books, please help us by writing reviews on the site of the sales venue you bought it from. Reviews really, really help us with getting folks interested in our amazing fiction! 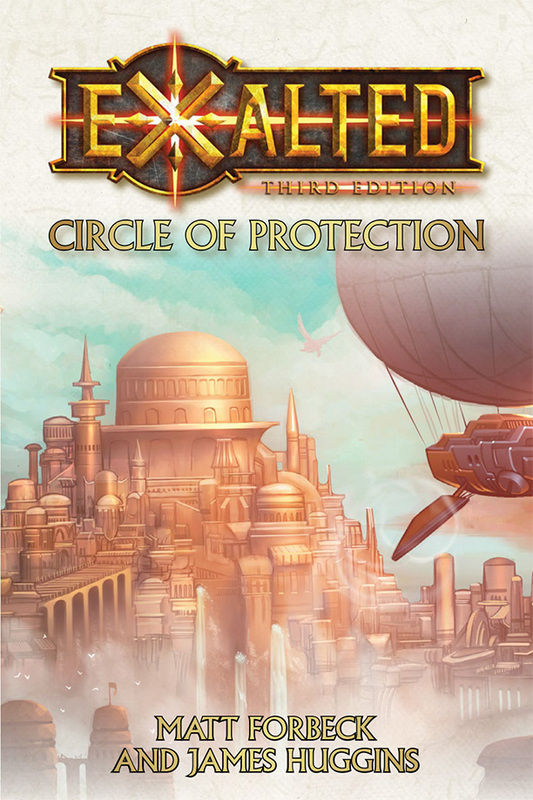 This week, we’re offering PDF, ePub, and PoD versions of the Exalted 3rd novel Circle of Protection by Matt Forbeck and James Huggins on DTRPG, and you’ll be able to order epub versions on Amazon and the Nook store as well! 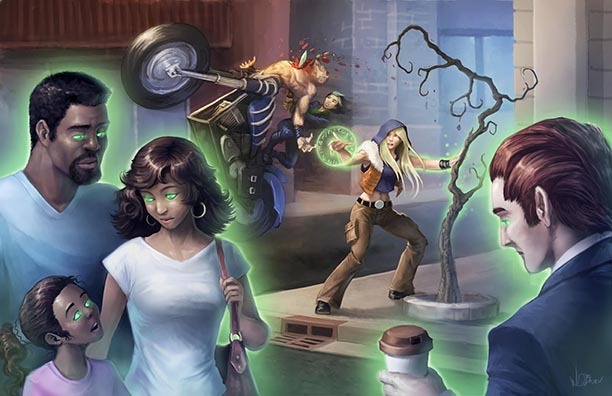 We’ll also have our monthly PDF releases for EX3‘s Hundred Devils Night Parade and Adversaries of the Righteous on DTRPG! Start getting ready for our appearance at MidWinter NEXT MONTH in January in Milwaukee! So many demos, playtests, secret playtests, and Onyx Path Q&As you could plotz! And now, the new project status updates! Dystopia Rising: Evolution – Finals coming in. Chicago By Night – Contracting next bits. C20 Player’s Guide – Finals coming in and going in for WW approval. They Came From Beneath the Sea! – KS ready. EX3 Lunars – So far, so good. Signs of Sorcery – Just need fulls to come in. In Media Res – Contracted. Hunter: The Vigil 2 – KS art in progress. Shunned By the Moon – Awaiting notes. Ex Novel 2 (Aaron Rosenberg) – With Meredith. 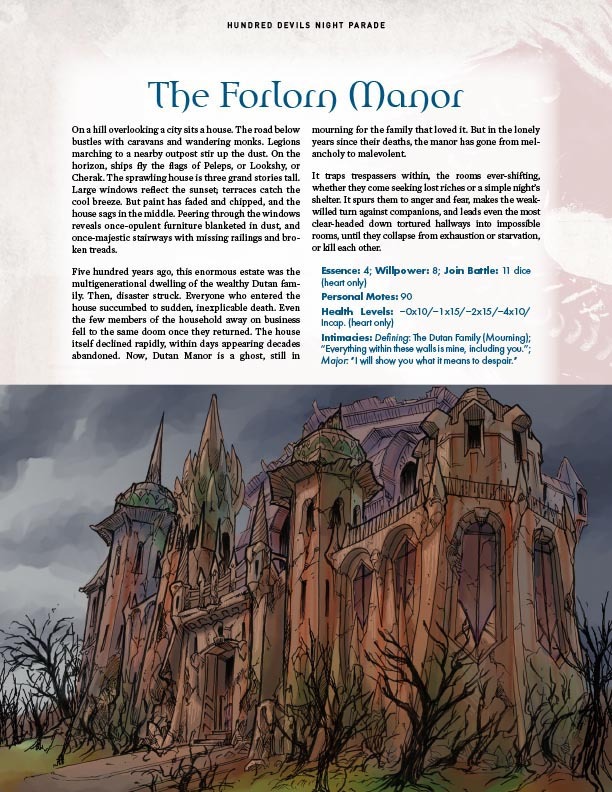 CtL2 Jumpstart – Backer PDF out and errata coming. M20: Gods and Monsters – Inputting Phil proofing notes. Trinity Core – Waiting for errata from Backer PDF. Trinity Aeon – Waiting for errata from Backer PDF. Ex3 Dragon Blooded – Backer PDF out and errata coming. Wraith 20th – New cover proof approved. Everything else is printing. Wraith 20 Screen – Printing. Scion Dice – At Studio2. Lost 2e Screen – Shipping to shipper. Scion Screen – Shipping to shipper. Changeling: The Lost 2e – Soon shipping from printer to shipper. PoD proof ordered. Fetch Quest – Manufacturing starting. Exalted 3rd Novel – PoD proof ordered. PtC Tormented – PoD proof ordered. Today is Eddy Webb’s birthday! I don’t know how old he is, but I know it’s in Dog Years! And this here’s a holiday week, and whether you just like a bit of vacay, have to work anyway, love Santa and the presents, must have your peppermint drinks, or celebrate your faith’s religious holiday – or some of all of that – we hope everybody has a joyous time this week! Merry Christmas!